Miladiou the spirulina Aveyronnaise has arrived, The harvest of Spirulina 2017 is available. Spirulina, I drink my juice since I was little ! Spirulina is a microscopic alga of small spiral shape. Spirulina is an amazing seaweed. 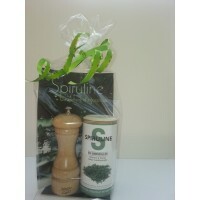 Consumed in Africa for its nutritional value, Spirulina fight against nutritional deficiencies. Excellent food supplement rich in vitamins, proteins, minerals and trace elements, it helps to regain energy and vitality. Spirulina is a highly nutritious food. Spirulina has the virtue of improving recovery capabilities, promote reconstruction muscle after exercise, and improve endurance abilities. Spirulina is a highly nutritious food with properties in accordance with the specific needs of the elderly to face the challenges of aging. For children, Spirulina is the vitamin in large quantities. Spirulina helps your pet stay healthy longer. Spirulina your ally beauty! With its antioxidant and cleansing it alone contains all the nutrients and trace elements necessary to the beauty of the skin. 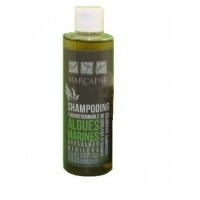 The natural and organic cosmetics with spirulina. Spirulina how to eat it ? 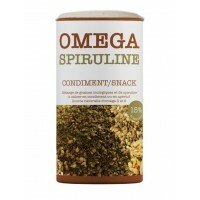 The ideal is to add 5g per day of spirulina (about 2 teaspoons) to his diet. During a course of a few weeks or throughout the year. Spirulina has a high potential detoxifying, we must begin gradually: It is advisable to start with a half teaspoon per day the first week. Find more ideas recipes made with spirulina sticks or powder. Put some pep in your diet consume spirulina flake, true natural energy source, spirulina is an outstanding food source for its multiple vitamin B12, vitamin N6, vitamin B1, vitamin B2. Spirulina is rich in beta-carotene. Spirulina also contains a lot of iron, calcium, and magnesium. Spirulina also a very high rate pycocianine. 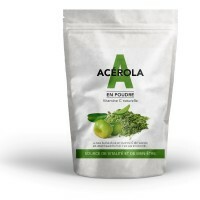 The Algahé Spirulina is produced in the traditional way and dried at low temperature to keep it all its nutritional and taste qualities, which guarantee quality spirulina. Our spirulina production farm is located in France in Aveyron, we produce a peasant spirulina with a method of cultivation and harvesting to ensure the conservation of wholes trace elements, vitamins and minerals it contains.